Home Basketball Laso: "There have been two games, the first quarter and the other three"
Laso: "There have been two games, the first quarter and the other three"
The Real Madrid coach was critical after the bad start against Fuenlabrada: "We have not had a brilliant game because the start is very strong". 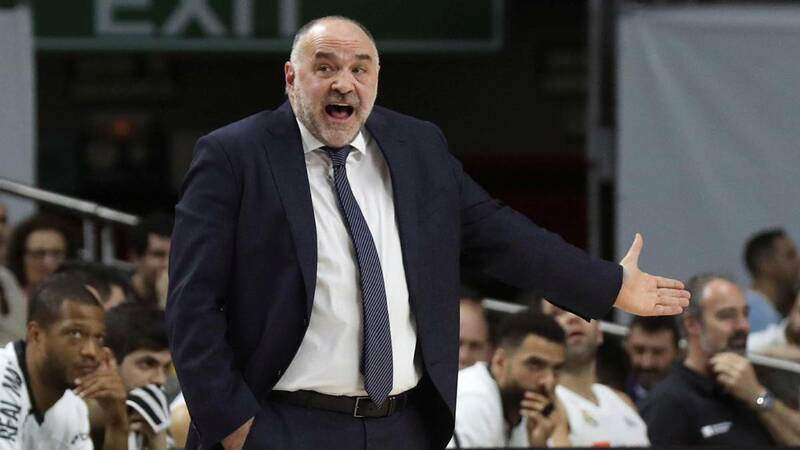 Pablo Laso, coach of Real Madrid, did not hesitate to say that there had been " two games against Fuenlabrada, the first quarter and the other three" . The coach commented that there was "not much" to say. "There have been two games, the first one has finished 12-27 and the second 77-52," he said. "Our first quarter has been very bad, failing easy things , not going down to defend. They have also had success, Then we have been able to change the 'chip'. We did not have a brilliant match because the start is a lot, but if you get 25 points ahead it's something you've done well ", finished Pablo Laso. The coach from Vitoria took advantage of the opportunity to wish a speedy recovery to Néstor García, coach of Fuenla, suffering from a nephritic colic. "I hope Nestor is soon with the team," he said before announcing Felipe Reyes for his record of matches in ACB: "I want to also talk about Felipe's record that matches Creus in matches."